Hello, Everyone! Happy Wednesday! 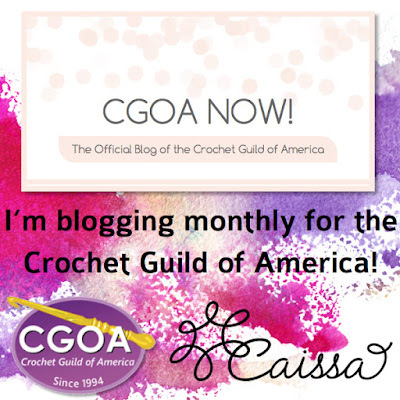 I am very pleased to announce that I am the newest member of the Crochet Guild of America blogging team! You can link to my first post here. The Crochet Guild of America (CGOA) is the professional organization for crocheters. 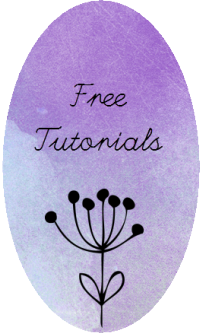 I wrote an article about it on Crochet Spot in 2014, so if you want to learn more about the organization, you should start there. 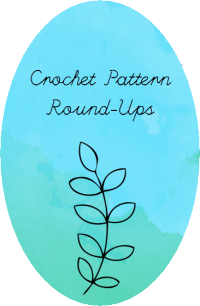 You can also check out the official website at Crochet.org. I've been a member since 2011 and I've loved it! I am absolutely honored to be joining such an esteemed group of bloggers. I am thrilled to see where the blog goes in 2016. It's a fresh, new year with much greatness to come! If you would be interested in joining the Crochet Guild of America, please let me know by leaving a comment or contacting me at artlikebread (at) gmail (dot) com. As always, thanks for reading the blog! Please leave your thoughts, ideas and questions in the comment section below. If you liked this post, please share this post with a friend through social media and chat about all the cool benefits that come with CGOA membership! Like my Facebook page for updates and more crafty sharing!